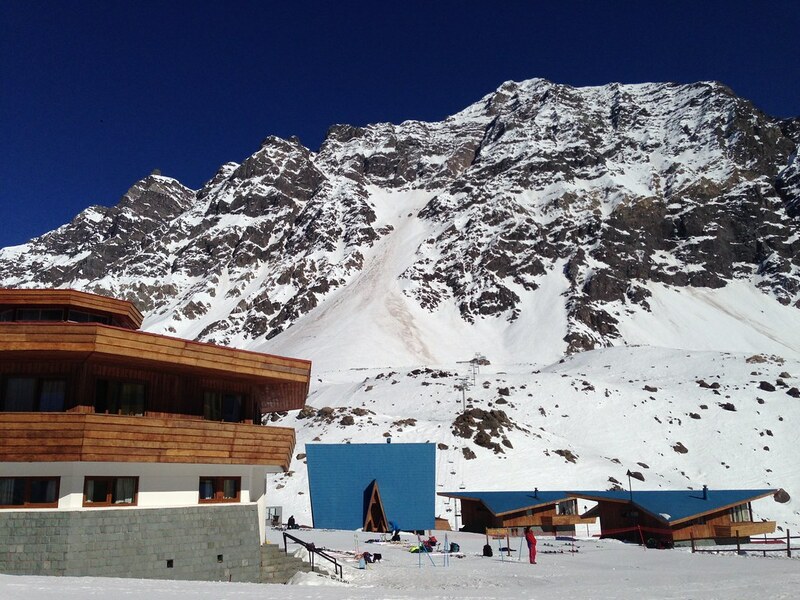 Amongst the ski resorts in Chile, Portillo has got to be one of the most famous. Perhaps even the most recognizable amongst North American skiers! 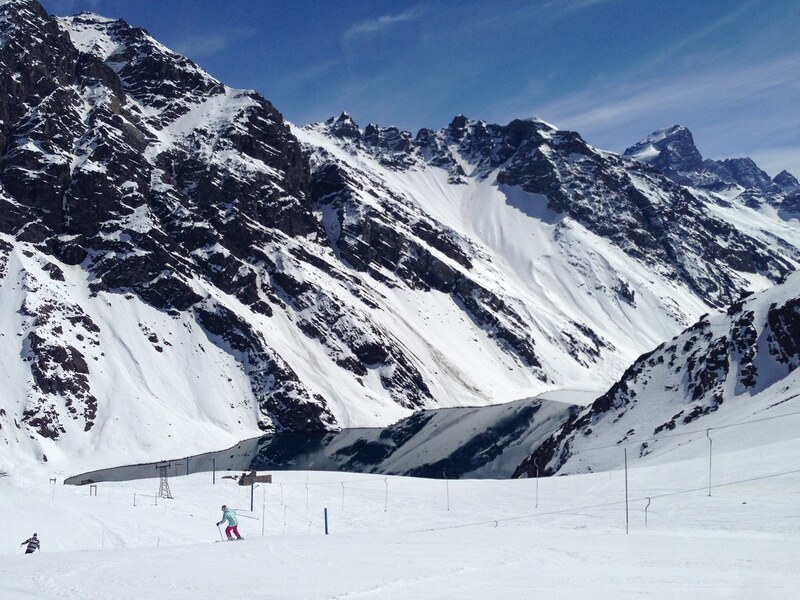 This ski resort is located northeast of Santiago and close to the Argentinian border and town of Mendoza. 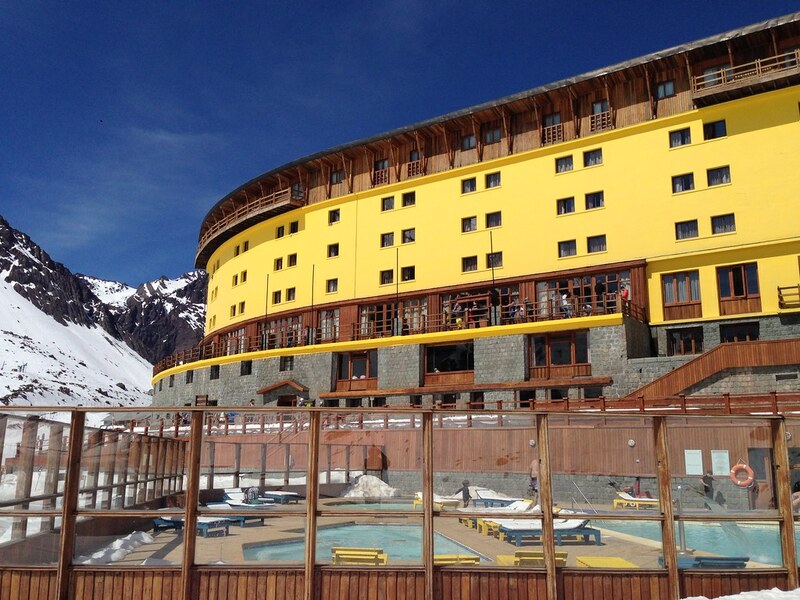 That meant this resort gets its fair share of Argentinians driving over for some skiing. 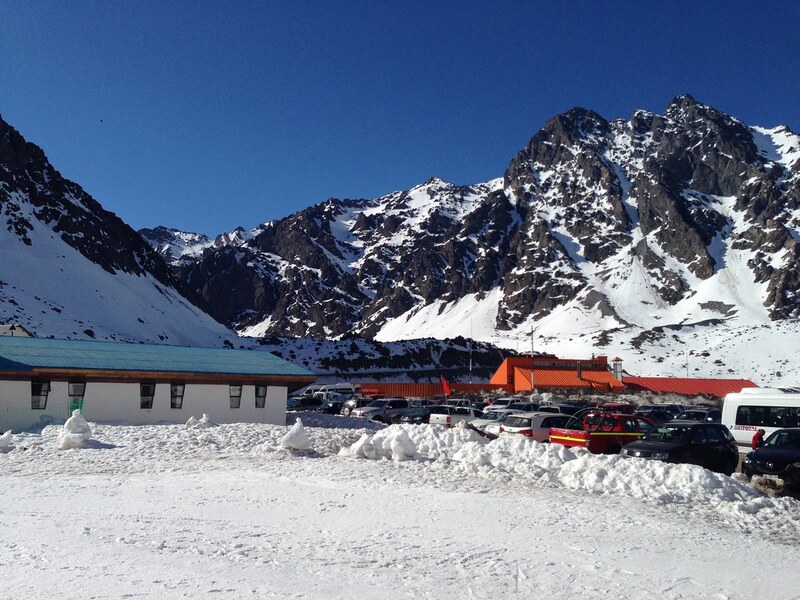 Portillo ski resort is probably one of the first ski resorts in Chile and has a history for being the resorts where many pros train during the summer in the northern hemisphere. It also has a beautiful setting with a deep blue glacier lake located in the centre which guarantees beautiful vistas all around! 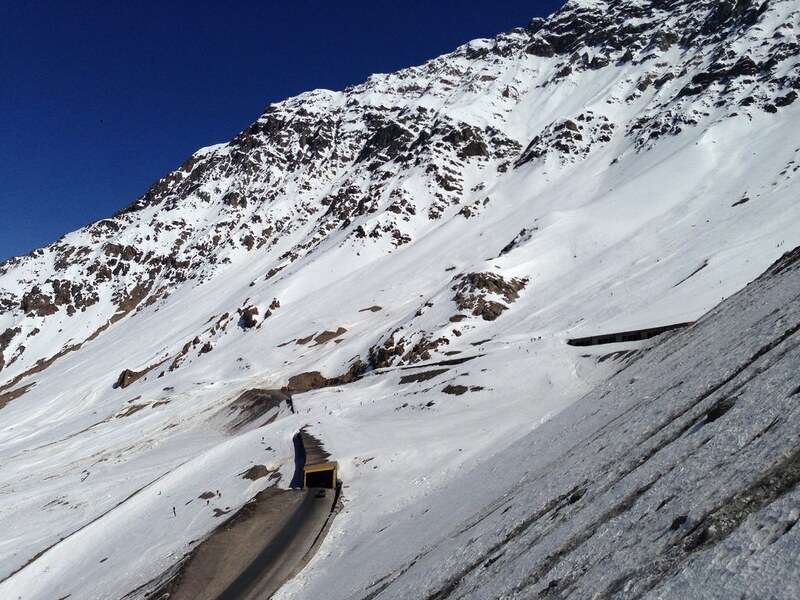 Like my previous excursions to Valle Nevado and La Parva, I used the Ski Total shuttle to get to the resort. 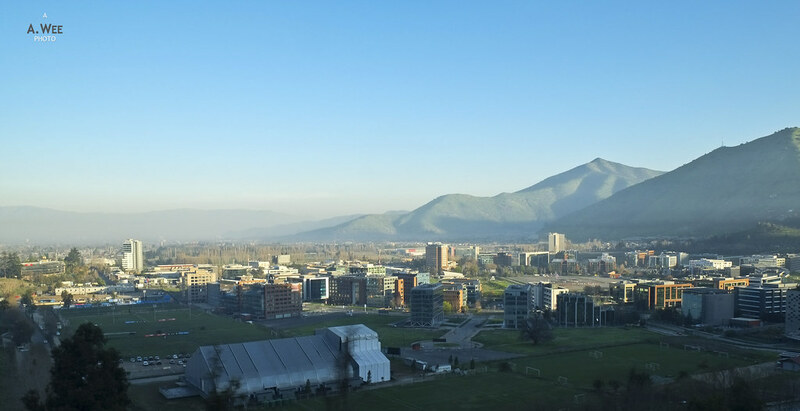 The cost for a roundtrip transport between Las Condes, Santiago and the resort was 29,000 Chilean Pesos (~$40) while a one-way trip cost 25,000 Pesos. The first half of the journey was on a highway so it was a relaxed cruising speed. The second half was a lot of mountainous routes with beautiful Andes valley views all around as we drove past mountain villages and glacier streams from the melting snow. The last part of the drive was spectacular with a lot of hairpin bends as we rose higher up in altitude with more views of the snow-capped peaks. 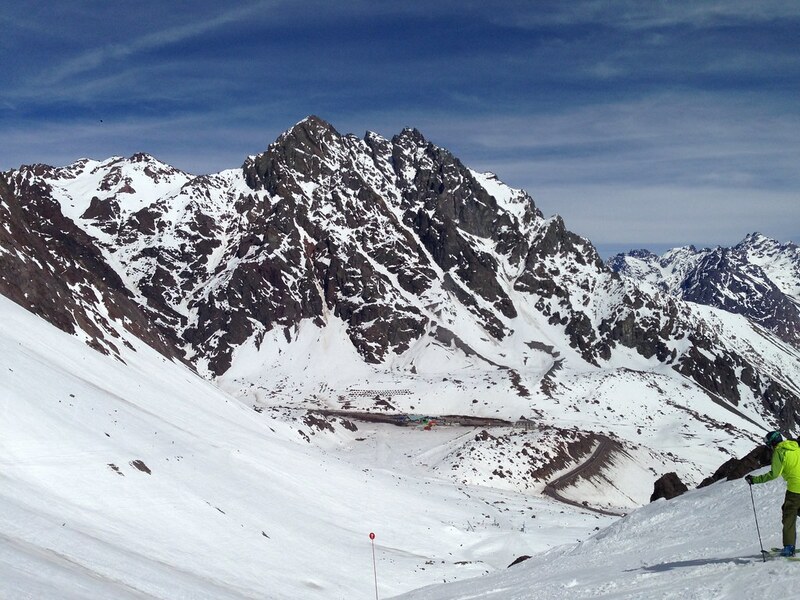 While my previous ski excursion was quite a short journey, the trip to Portillo was a bit longer since it is further away. 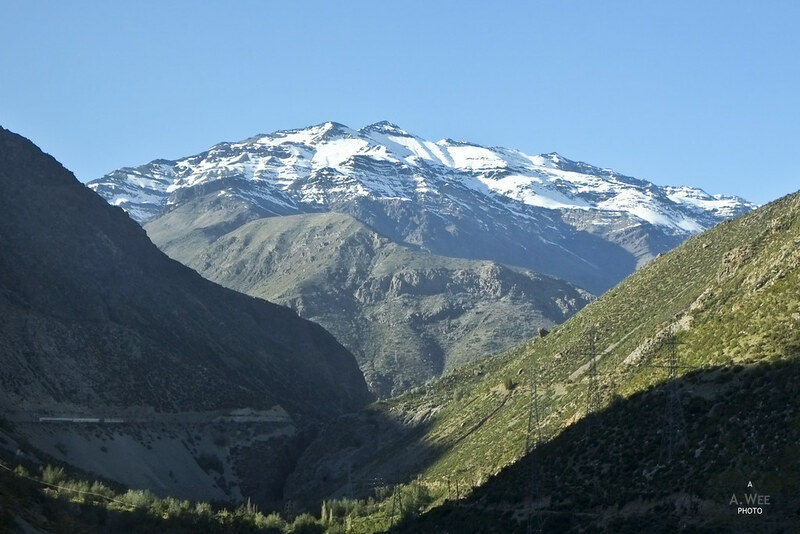 Do expect a trip duration of nearly 2-1/2 hours even in clear weather and traffic while journey times could be 4 hours in case of traffic delays since the dual-lane highway going up to Portillo is frequented by trucks carrying cargoes between Chile and Argentina. 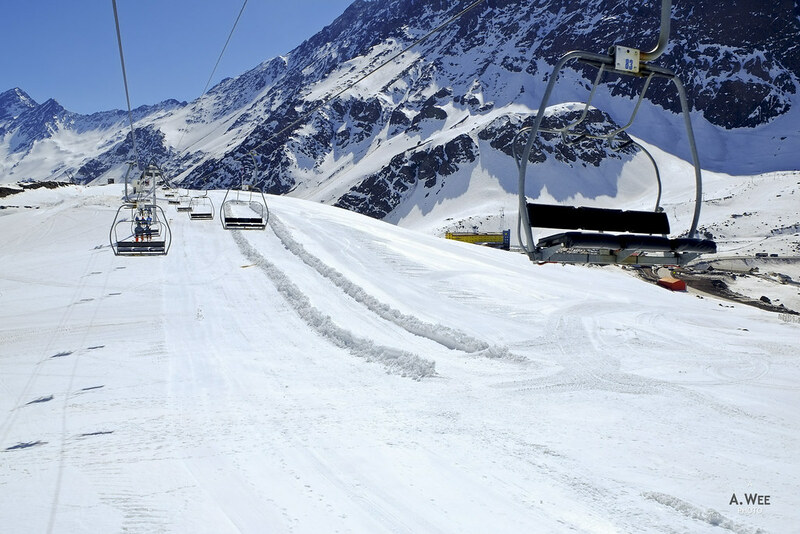 Also do note that during snowstorms, the highways in and out of Portillo might be closed so guests staying in the resort might need to stay for an extra day and guests checking in will have their paid nights refunded. 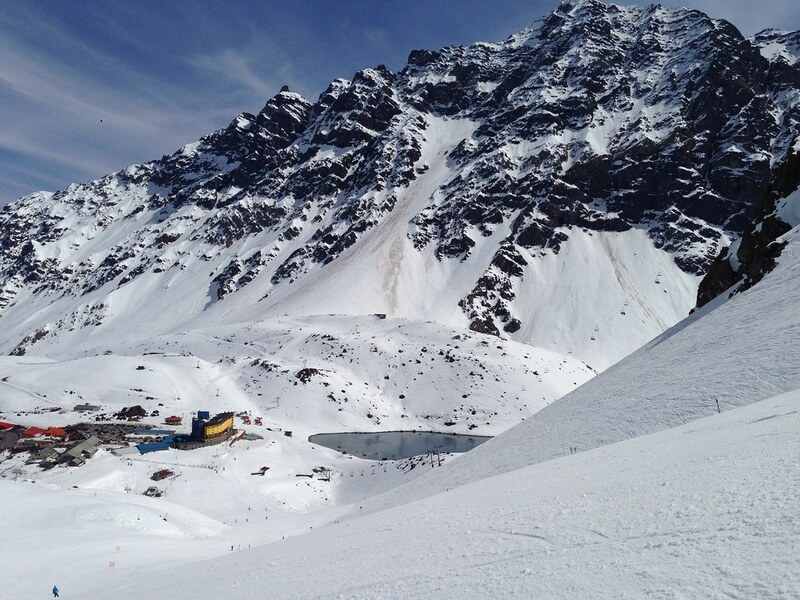 Do not expect any gondolas in this resort since it is still a somewhat small resort especially when you count in the number of groomed runs compared to Valle Nevado. 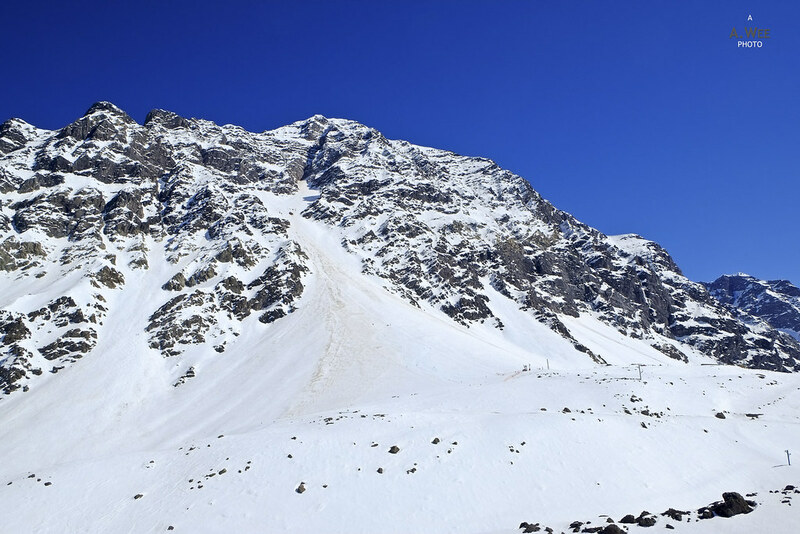 Instead the resort is served by 3 major chairlifts: Juncalillo that starts at a lower altitude than the resort, La Laguna with the best view of the lake and Plateau that goes to the top for skiers to access the Tio Bob’s restaurant. 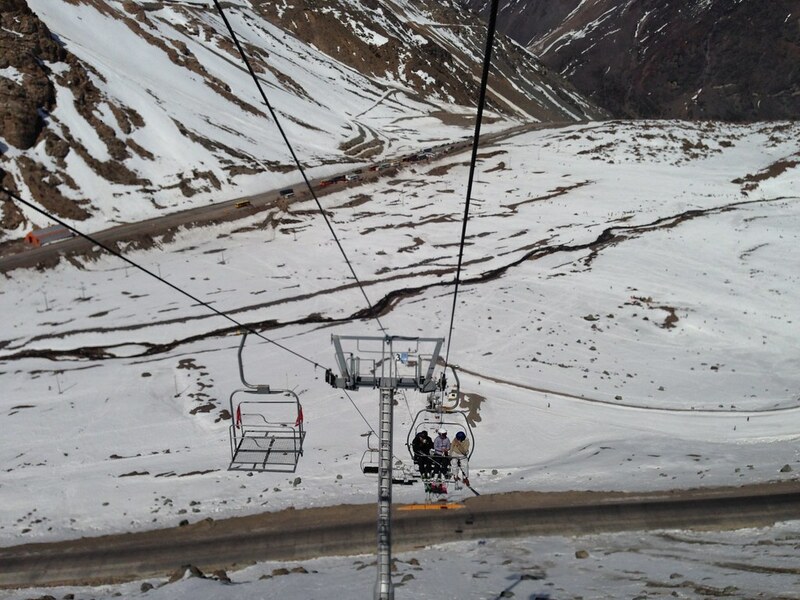 Juncalillo is a three-seater chairlift while the latter 2 chairlifts seats 4. These chairlifts are not very fast either but they do the job since I rarely need to wait a long time for the chairlifts. 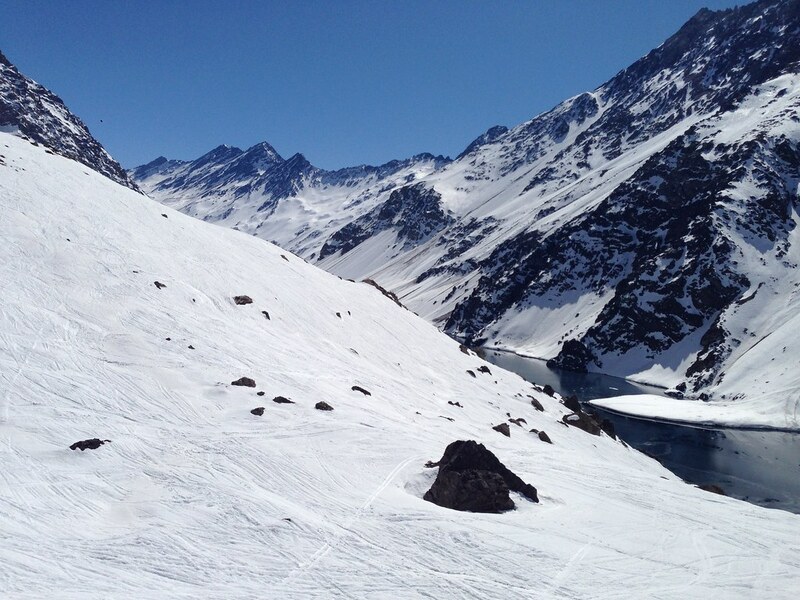 There is another quad-chairlift for more intermediate skiers and boarders called Las Lomas that does not rise as high as the Plateau chairlift and the tip of Las Lomas provides a nice view of the Argentina-Chile border checkpoint. The last chairlift is the dual-chair Conejo connecting the resort to the top of Juncalillo. 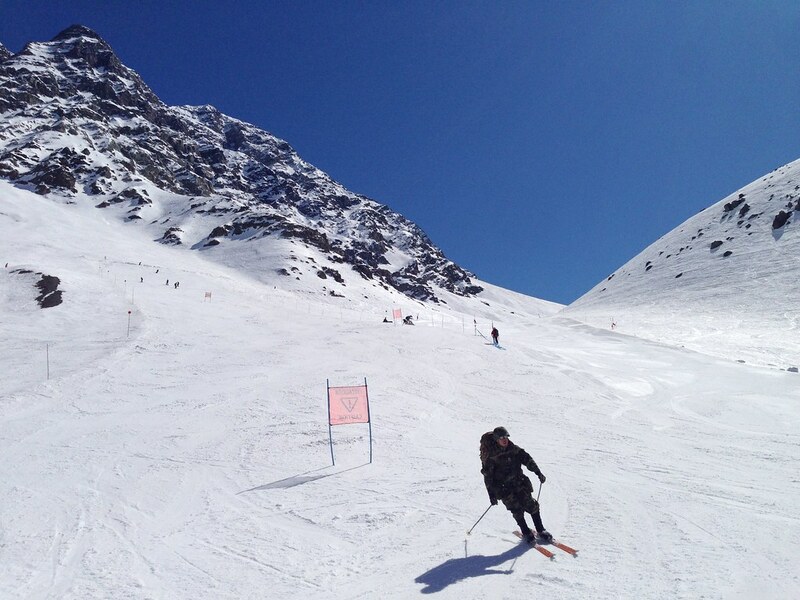 Then there are a couple of single T-bar lifts, but the highlight of Portillo has got to be the Va-et-Vient chairlifts (also known as the Slingshot) that whisks up to 4 skiers at a time to the top of several black runs on the face of the mountain. 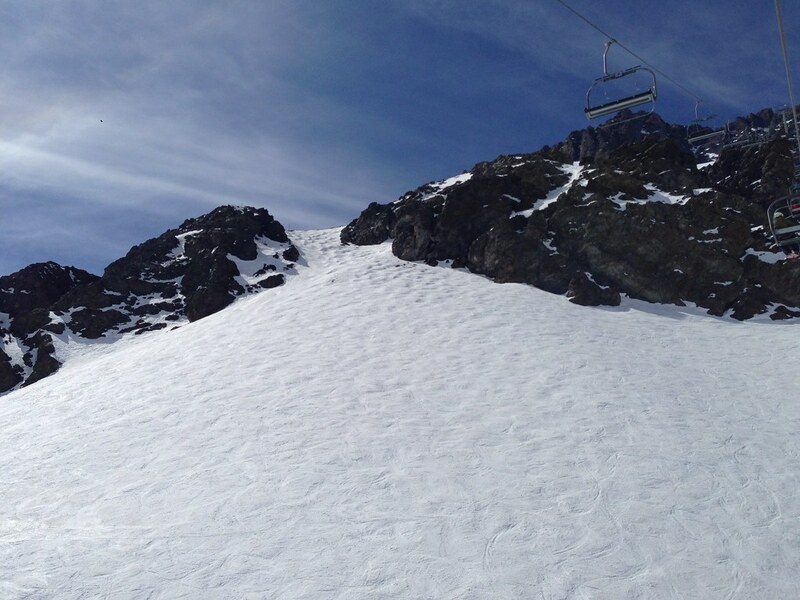 There are a total of 4 of these and they are definitely for experts only, with Roca Jack looking to be the most accessible amongst the black diamond runs. 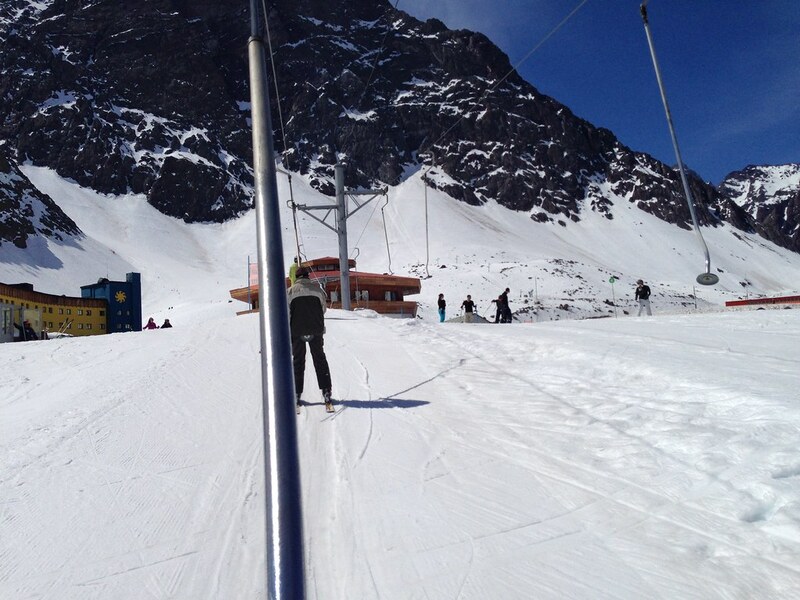 It is sometimes mentioned that Portillo sells a limited number of day tickets to visiting skiers but there did not seem to be such restrictions. 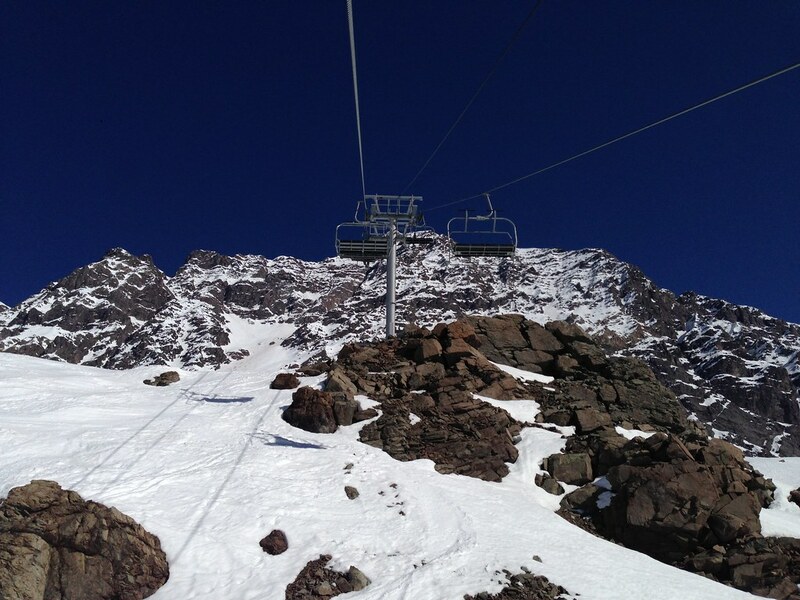 Anyway I got my day lift ticket at 42,000 Chilean Pesos (~$62), though for such a small resort I thought it was a bit on the high side especially if one does not go up on the black runs. Again, I will get back to the overall value at the end as an overall experience. Beginners here really have limited terrain with short green runs mainly served by the T-bars around the resort at the end of the David’s Run. There is also the El Puma learning area at the top of Las Lomas with an easy blue run back to the resort. Aside from the short green-marked runs, David’s Run and Las Lomas is probably the easiest progressive blue runs for beginners. And there is still a great view from these 2 areas as well. 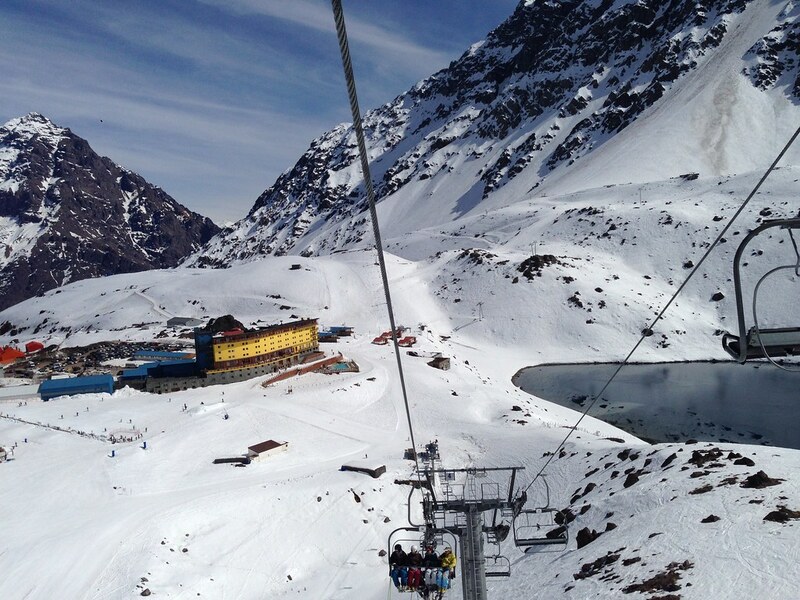 Blue runs comprise the majority of the marked trails in Portillo and the ones to start with in the morning would be Juncalillo from the top of La Laguna chairlift to the base of Juncalillo which will give skiers a chance to ski above the mountain pass highway that visitors to Portillo will pass by. 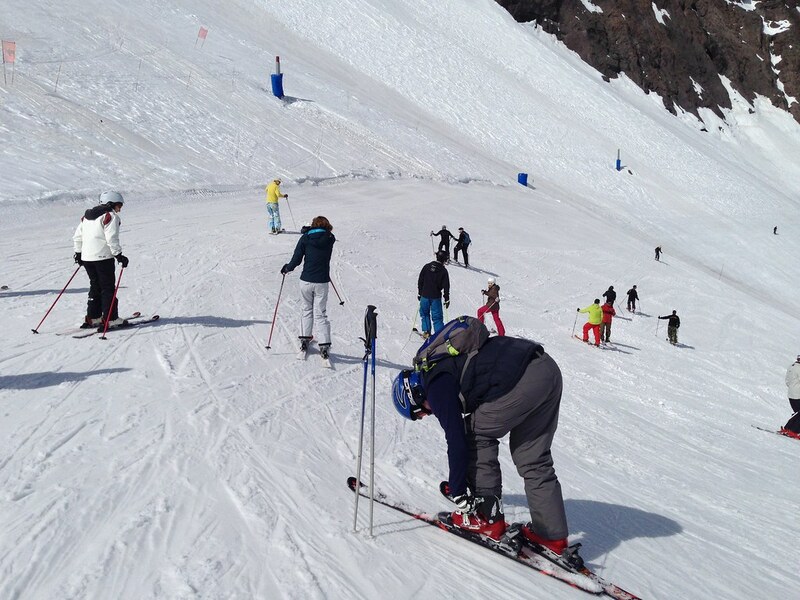 There are several trails leading to the bottom of Juncalillo and skiers need not return via La Laguna either as the Los Zorros run also leads back to the Juncalillo chairlift base. 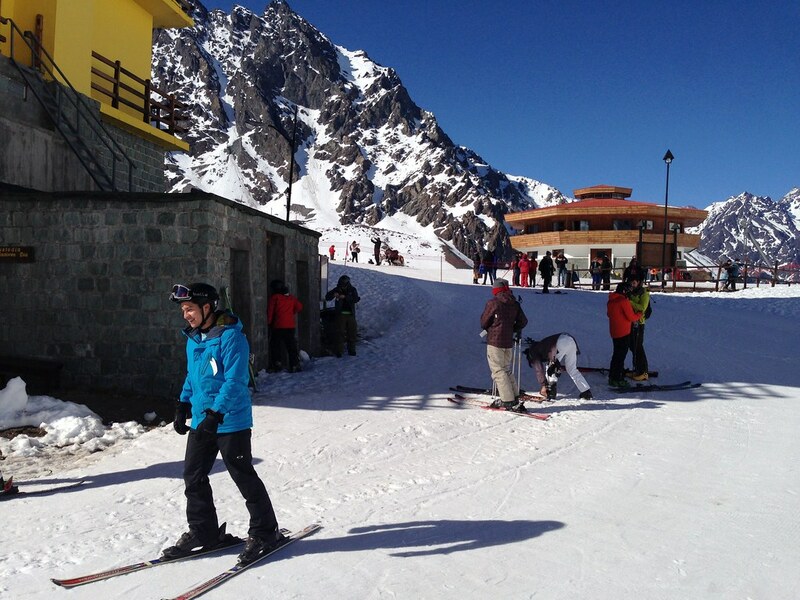 Past afternoon, skiers would gravitate towards Plateau run due to the mountain aspect. The morning sun shines on Juncalillo, thereby softening the ice pack while the afternoon sun shines on Plateau, giving rise to shadows over Juncalillo. 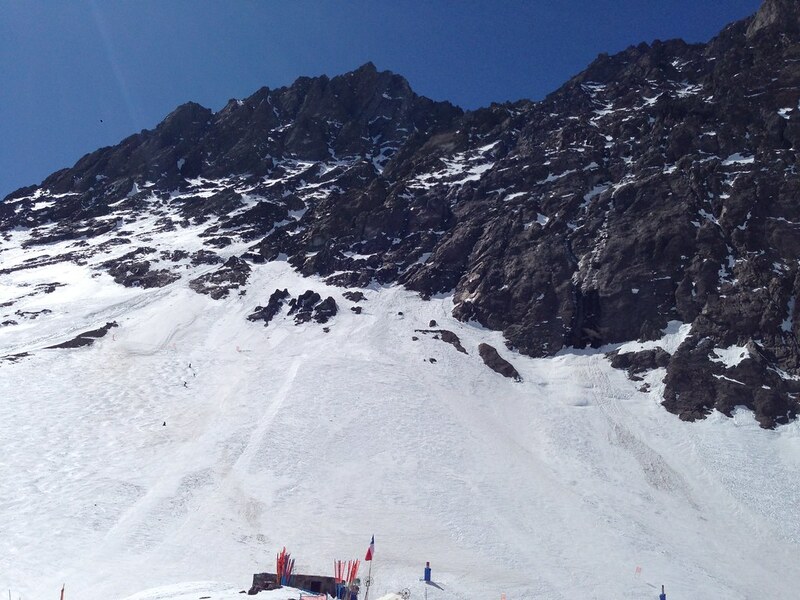 I would rate the Plateau run as one of the steeper blue runs and probably better for advanced intermediates. Meanwhile the lower Las Lomas run is a great end to this side of the resort. For those very proficient skiers and snowboarders, the black-marked runs are only accessible via the Va-et-Vient chairlifts. There are 2 of these called Roca Jack and El Caracara accessed from the upper Juncalillo run. 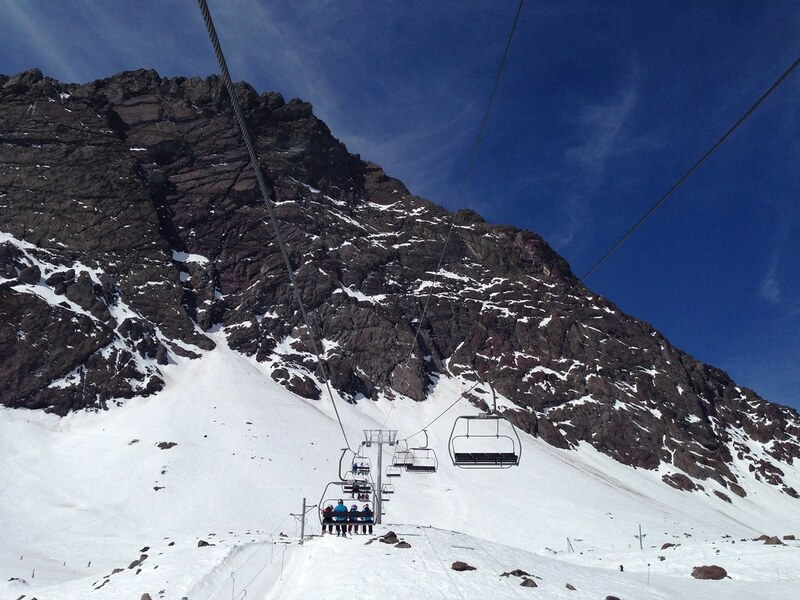 The other 2 are Condor accessed from the top of Plateau chairlift and Las Vizcachas from the top of Los Canarios. 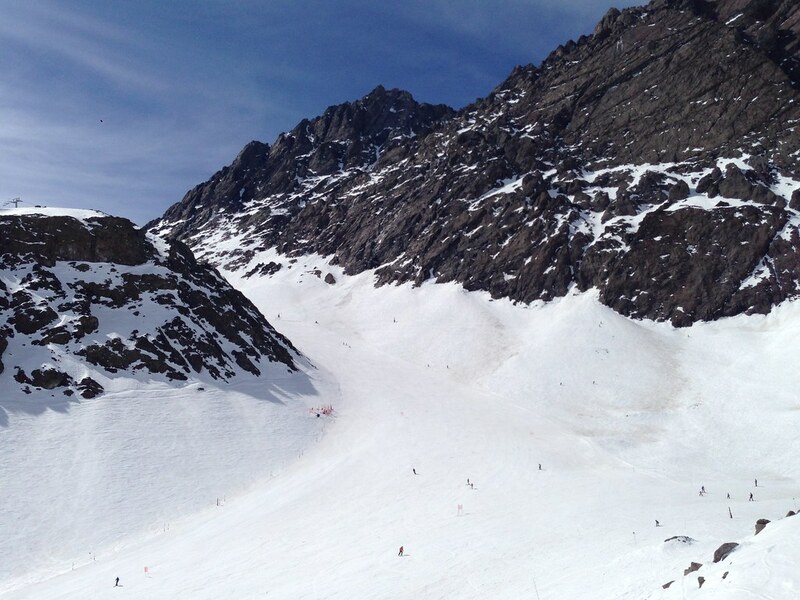 There is nothing of a semblance of a terrain park over in Portillo since the crowds here tend to be mainly skiers. And most terrain parks are for snowboarders. 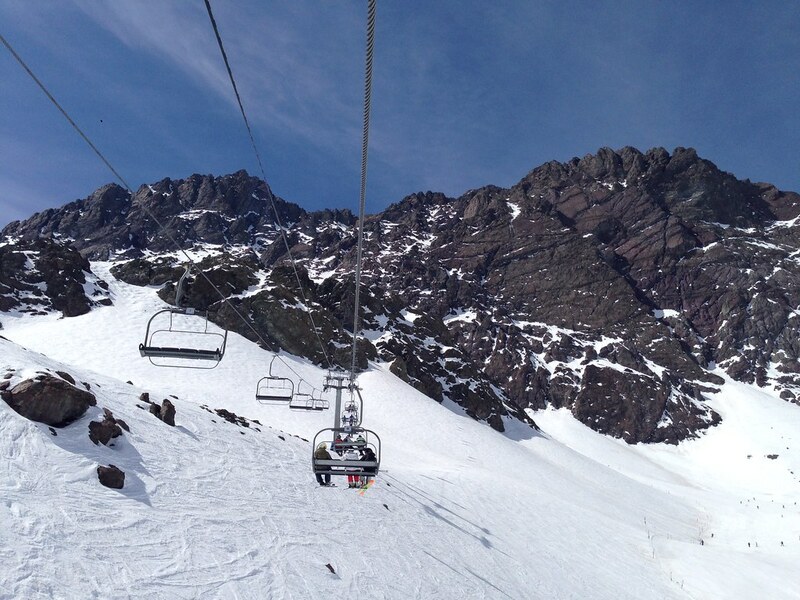 The closest I could think of is perhaps the Primavera trail near the La Laguna chairlift with rocks and ungroomed terrain. Though this can also count as tree-less backcountry skiing. Other areas that can be accessed includes some hiking up from the top of the Va-et-Vient chairlifts at the Roca Jack and El Caracara areas. 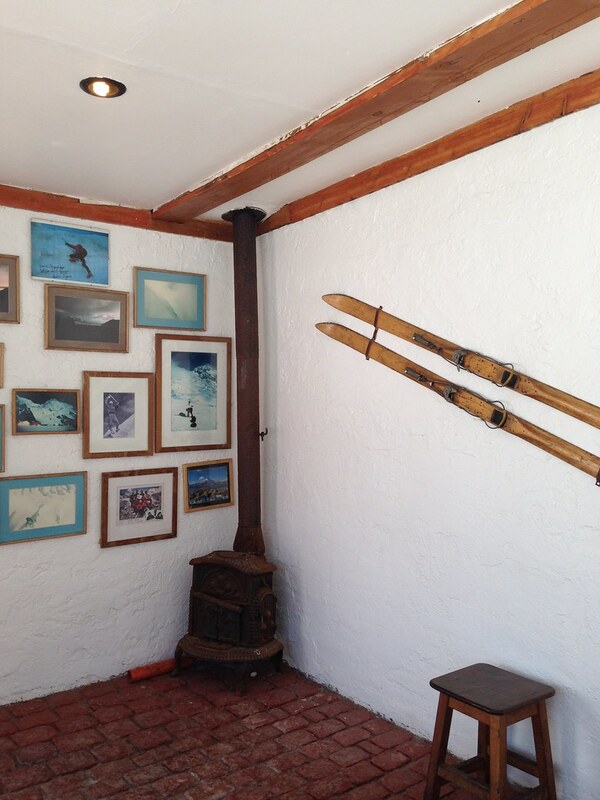 The only lodge on-the-top of the ski area is Tio Bob’s. 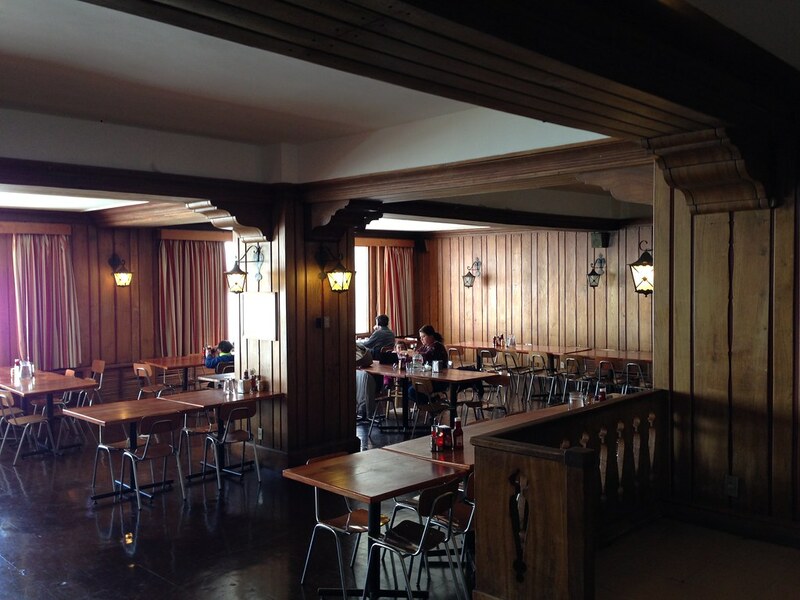 It is a restaurant that has an outdoor seating space. I would say it is more like a quaint mountain lodge with limited facilities. Tio Bob’s is also where I had a short break for lunch and it is worth heading there in the afternoon for a great view of the lake. For a small mountain lodge, there was surprisingly a good variety of food and beverages served here. 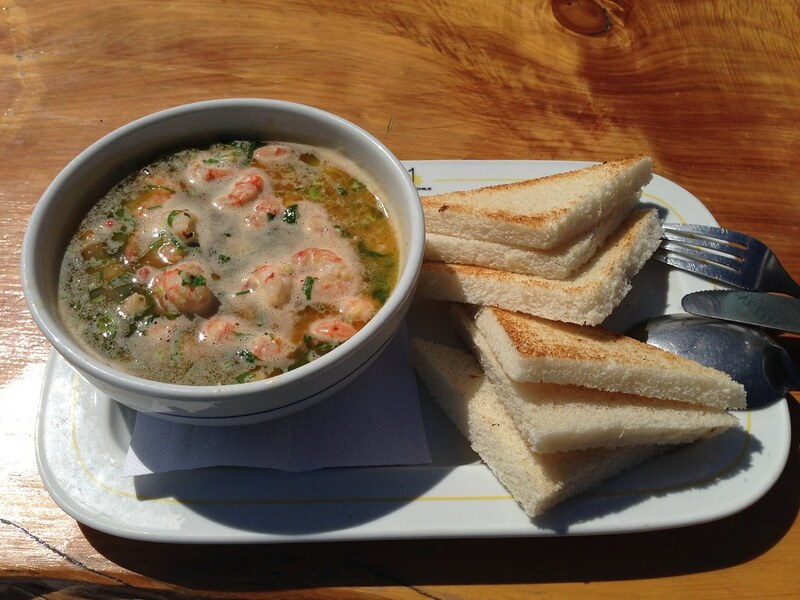 I ordered a Chilean shrimp stew also called Camarones al Pil Pil which is made with olive oil, garlic and parsley. Served with the nicely done toast, it made for a great snack and fits my light appetite. There are other dishes which would be more filling if you have a bigger appetite. Though I would have to say the point of lunch here is when the sun is out and one gets a fantastic view! 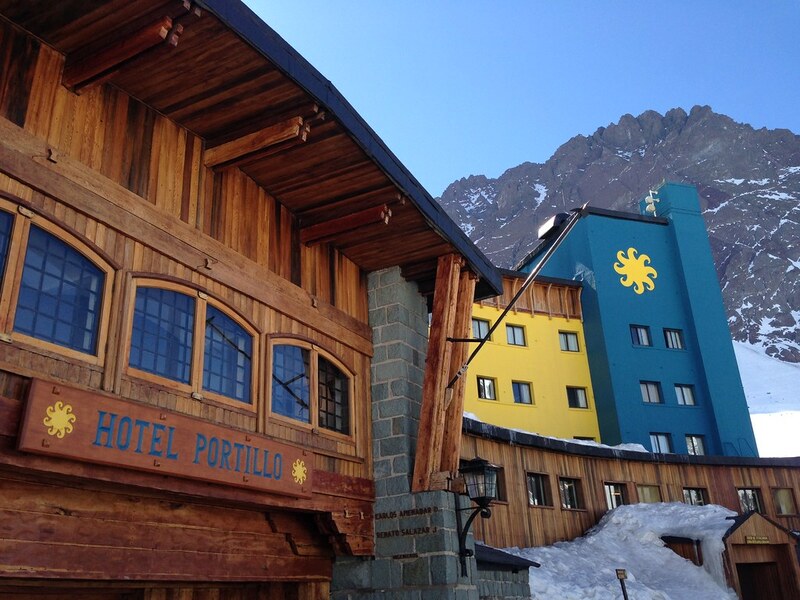 The other option for meals in Portillo is inside the main hotel Portillo itself. Guests staying within the resort are served lunch daily in the hotel’s several restaurants. 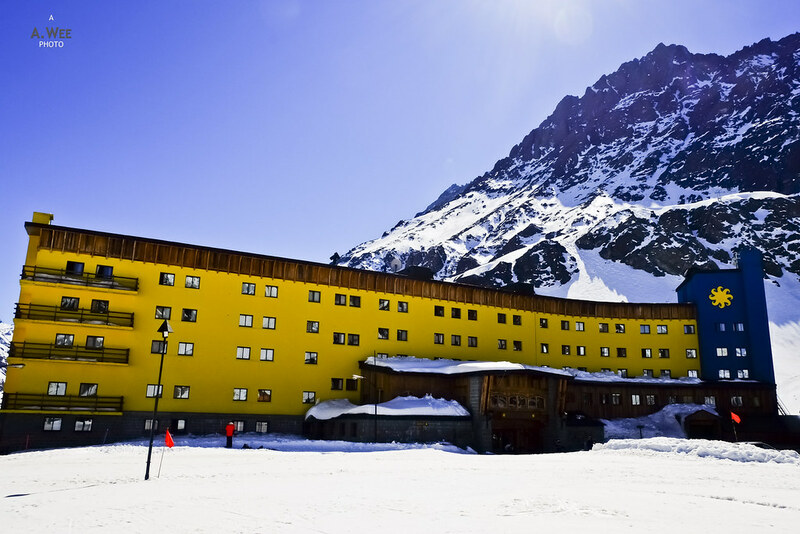 One of the biggest drawback of Portillo is the really limited accomodation space in the resort, and it is quite far to the nearest town from the resort. 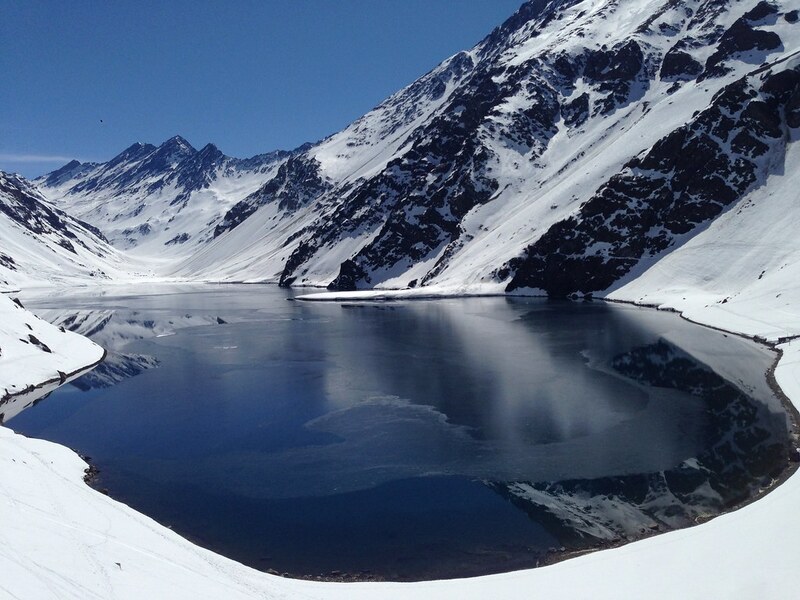 While it is still accessible by shuttles from Santiago, one needs to start a couple hours before to make the journey. 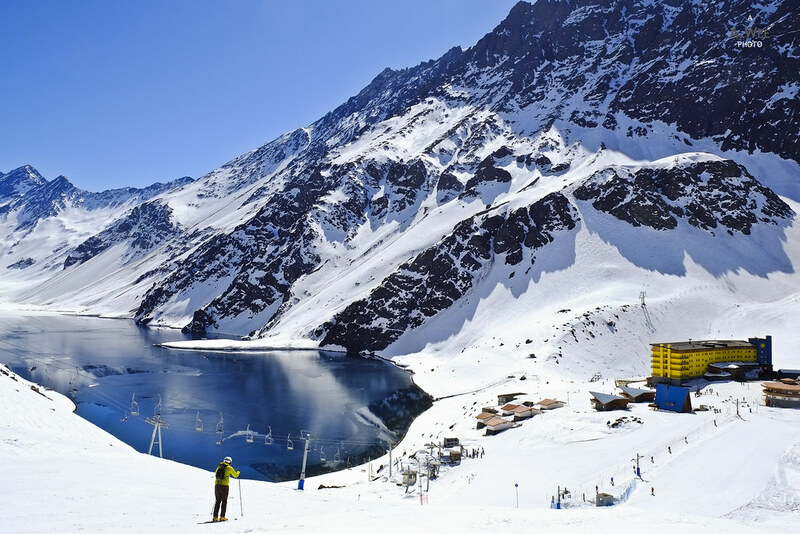 Meanwhile prices for staying in Portillo is pretty expensive too with a weeks stay starting from $2,150 for double occupancy in a low season and going up to $7,000 for single occupancy in a high-end room during peak season. 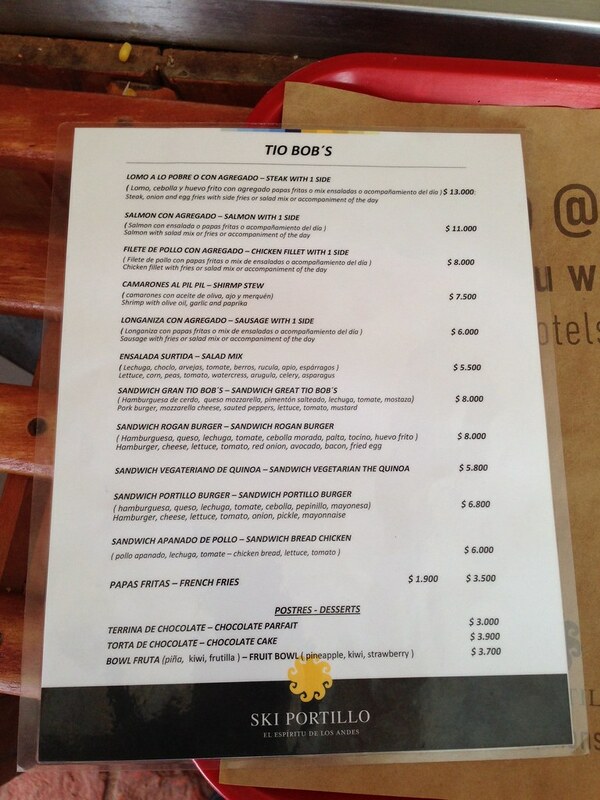 This is prices for the Hotel Portillo which is the only full-service accomodation. The other choices are the Octagon Lodge which can accomodate up to 4 in a room with an attached bathroom or the hostel-style Inca Lodge which can also sleep up to 4 with a shared bathroom. Even then a week’s accomodation in these lodges can cost $1,000 upwards during the low season for a week. While a full meal from morning to night is included, I am not sure if it is worth it since there is only that much skiing to cover the whole terrain. In terms of facilities, the outdoor deck of Hotel Portillo was pretty impressive with a heated pool, a large circular hot tub and lots of deck space to hang out in while having a great view of the lake. 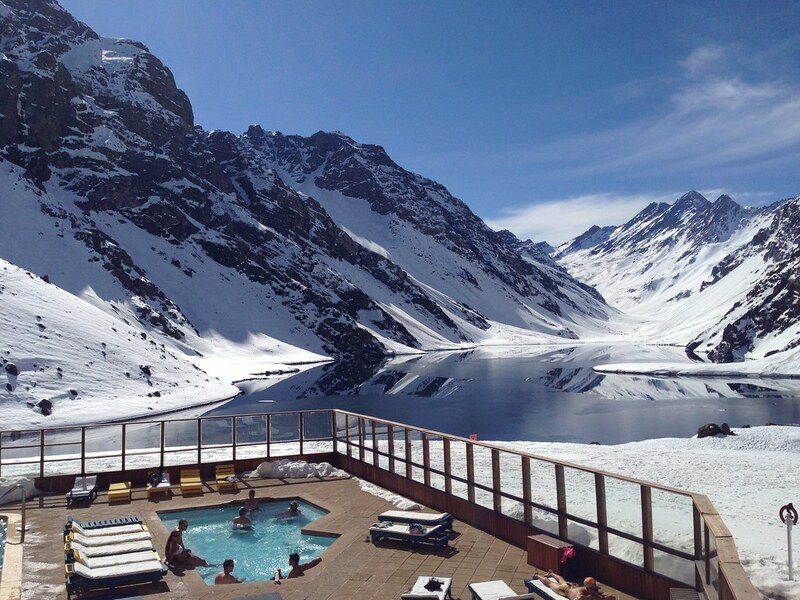 And getting a tan or soaking in the hot tub is probably the best way to the end the day after skiing in Portillo. Because other than the resort complex there really isn’t anything else around for the next 10 km or so. From the summit of Roca Jack, the peak of Mount Aconcagua (the tallest mountain in South America) is supposedly visible. Though I did not head up since the slopes looked icy. So while taking things easy, I still got to experience some nice views of the lake and the surrounding mountains of Portillo from the top of Las Lomas and Plateau chairlift. I think the afternoon views from the top of Las Lomas is perhaps the best one of them all with the Argentina-Chile border crossing even visible from there. 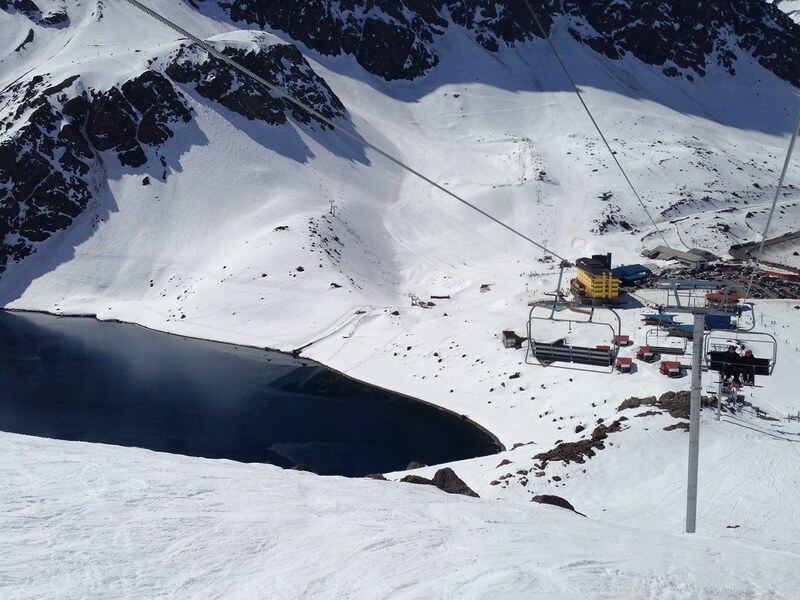 While the summit views are great, the views from the La Laguna and Plateau chairlifts are not bad either since both provides an excellent overview of the resort and the lake. 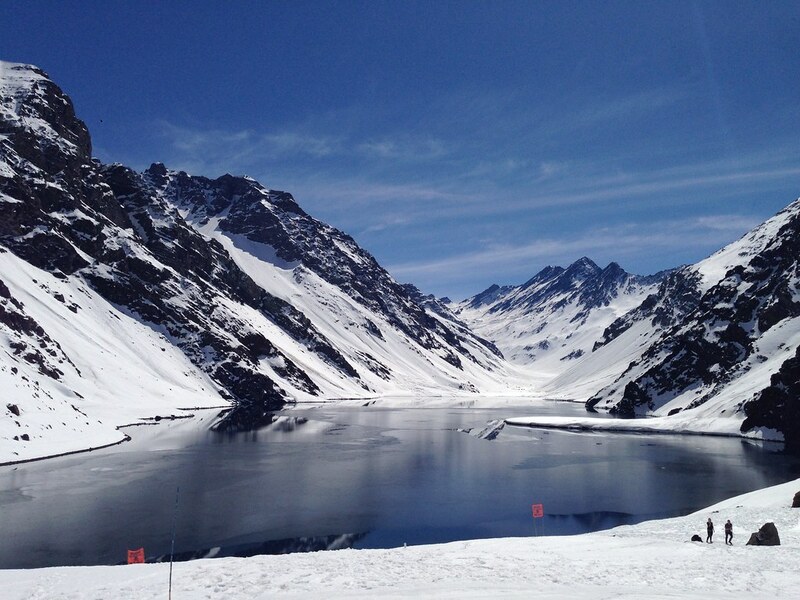 As always the views in Portillo generally revolve around the lake. At the end of the review, it is the overall experience. 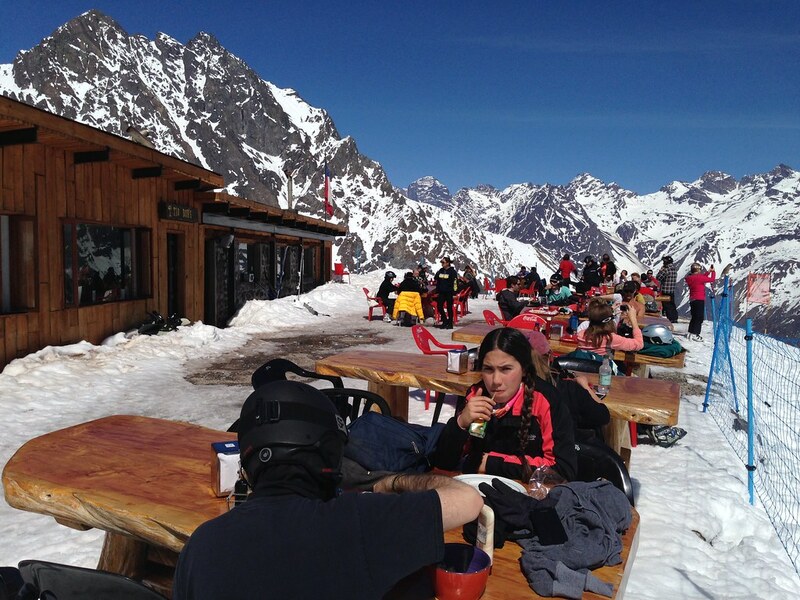 And I am pleased to say that amongst the ski resorts around Santiago, I still think Portillo is a must-visit even if it is slightly further away and more expensive. From the welcoming dog (also the resort mascot) to the beautiful lake and the unique terrains posed, I think there is something interesting and new even if it is one of the oldest resorts in Chile. In fact, the whole resort can be summed up with the word ‘FUN’, in capitals no less. 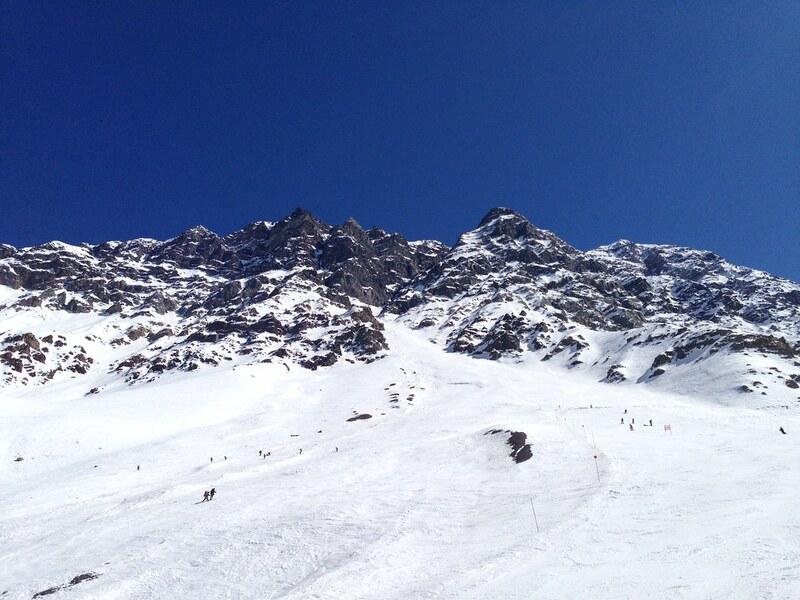 The steep terrain and just the general crowds in Portillo enhances the overall experience even if there was no new snow when I visited. My only gripe with it though is that I am not up there yet in confidence with my skis that I did not try out the Va-et-Vient chairlifts that leads to the infamous black diamond runs.